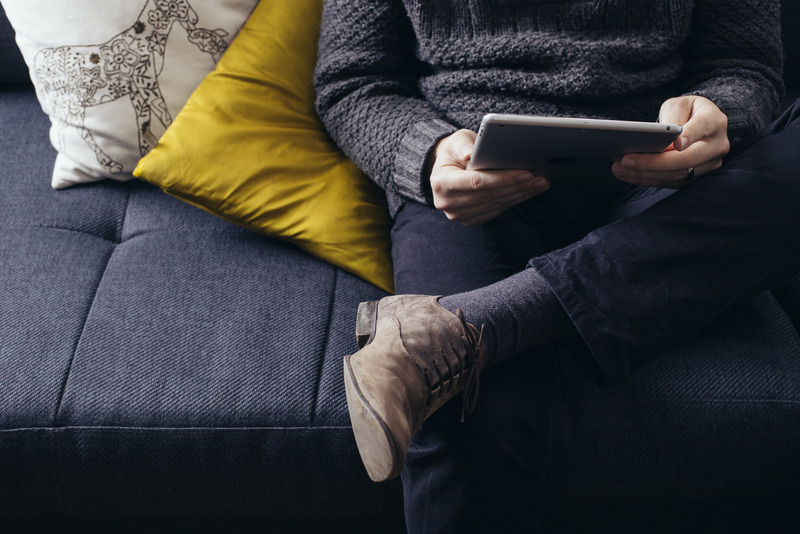 Customer reviews are crucial to winning business, establishing your online presence and managing your company’s reputation. 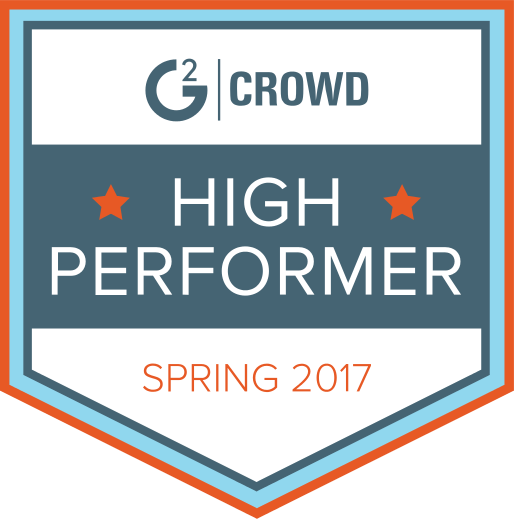 They also have a large impact on our agencies’ UpCity Rating and profile performance. 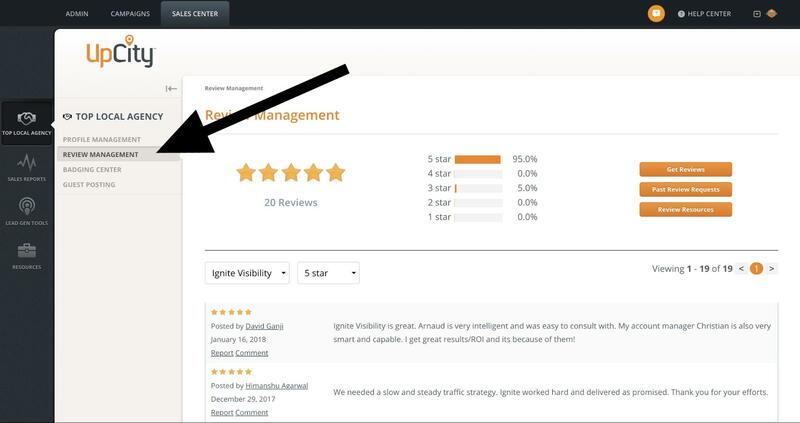 Thus we are excited to announce the new Review Management center as part of UpCity’s Top Local Agency management portal. 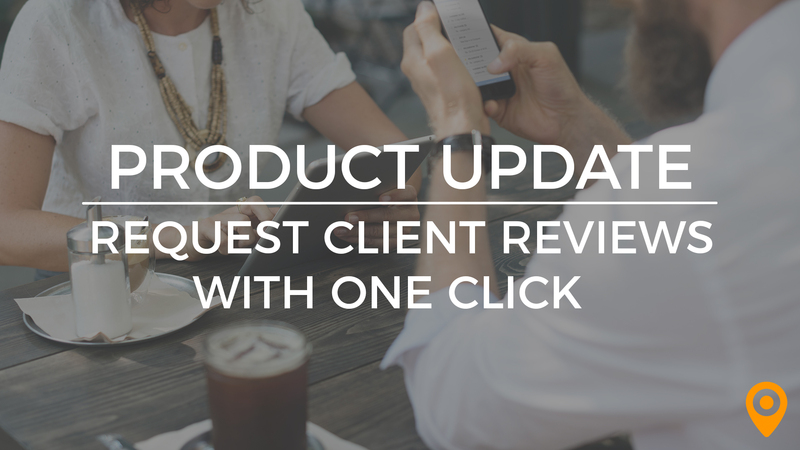 To access the Review Management Center, start by logging in to your UpCity account and navigating to the Review Management tab. 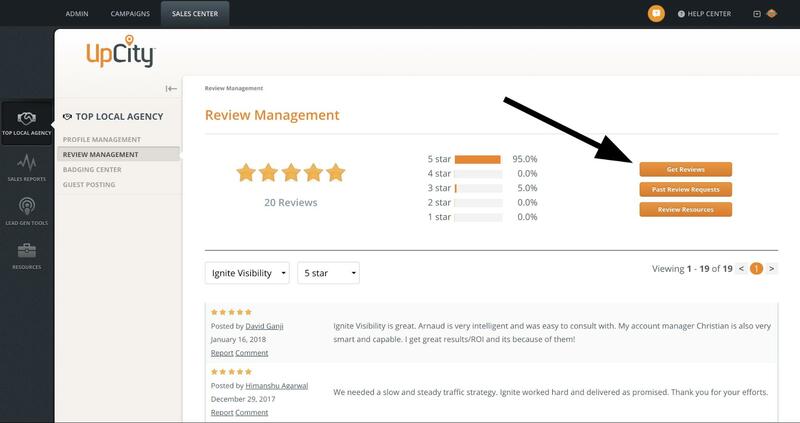 Your review dashboard will display some high level information such as total reviews, average star rating, the distribution of star rating and an admin list view of all reviews for your profile(s). Click on the ‘Get Reviews’ button in the top left corner of your dashboard. Select your preferred profile from the first drop down. You’ll then be able to edit the customizable fields before sending. 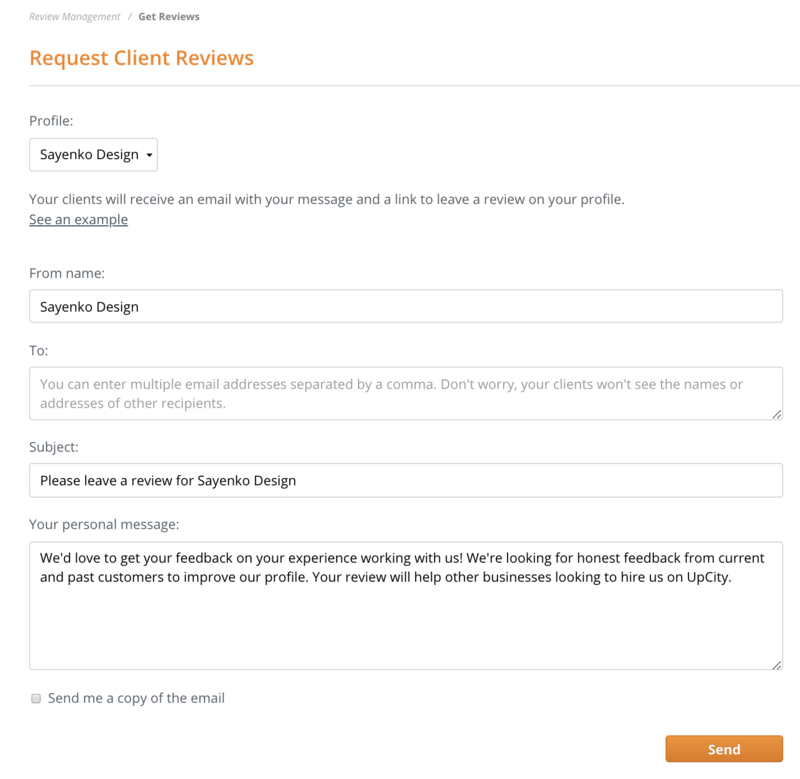 Your customers will receive an HTML email with your personalized message requesting their feedback. When they select a star rating they will be taken directly to the review modal on your profile. The bottom half of your dashboard is a feed of all reviews that are currently listed on your profile(s). You’ll be able to sort by associated profile and star rating. This feed displays a snippet of the full review. Click on the body of the snippet to read the entire review in a separate tab. 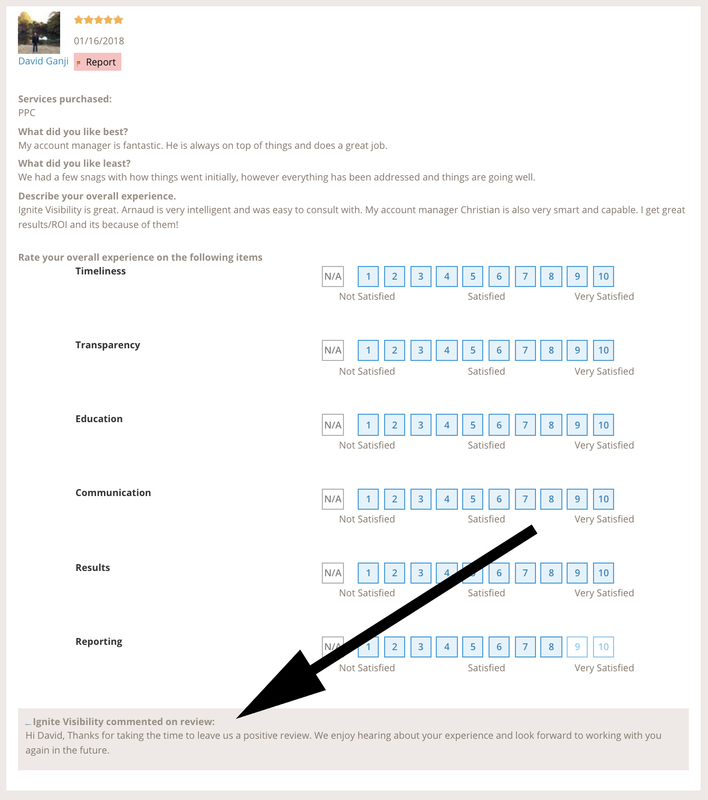 If you’d like to respond to a review you may do so by clicking the ‘Comment’ button below the reviewer information. After writing your message, click submit. The response will now be displayed at the bottom of the review. 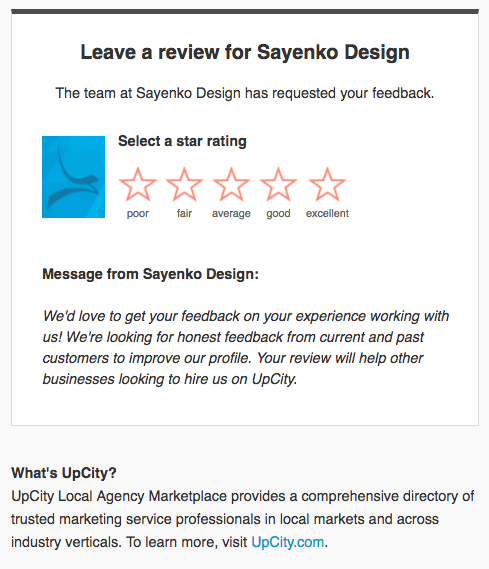 The request and manage features within the UpCity App were designed to save our Certified Partners time and effort when building up reviews on their profile. Learn more about the Review Management Center and the other benefits of becoming a Certified Partner here.